Recently we mailed out a case study featuring one of our authors, A P Bateman. We highlighted the approaches we have made with A P that have led to very large increases in his monthly self-published book sales. But we missed out an important point … the power of longevity, and its ability to strengthen an author’s profile and increase desirability of their books. What do we mean by longevity? You may be aware of the TV box-set phenomenon that has developed in recent years, but why has the occasional watching of feature-length films been largely superseded with the habitual viewing of episodic series’? The answer is simple. We invest more time in, and loyalty to, activities and entertainment that deliver greater long-term appeal. Put simply, we want our good experiences and escapism to last. Although one-off films can be wonderful, a typical 12 hour series can see greater character development, more complex storylines and a longer ‘journey’ of entertainment. This deeper sense of being immersed into the story is what turns film fans into box-set aficionados. This principle is much the same with authors and their readers. Consider this scenario; you have just finished reading your favourite author’s latest offering, and you’re online searching for a new author to try out. One author you come across has a single book that seems quite appealing, but then you discover another author who has multiple books in a series that have also accrued a healthy number of favourable reviews. You might take a chance on the single book author, but it’s more likely that you’ll see the value in an author with multiple titles which continue to develop, and you can continue to invest time in, once the first book has been completed. Even if the books are not in a series, a reader will engage with the themes and style of an author and want to consume all of their titles when they are ‘into’ them. 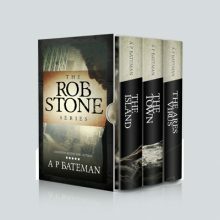 So, A P Bateman continues to write his stories, each one steadily adding to his wonderful trove of self-published books. His profile as an author continues to grow, and his titles become established as a good investment of money and time. A P understands that a second or third book doesn’t simply double or triple books sales, it eventually promotes an exponential rise in sales, recognition and reputation. 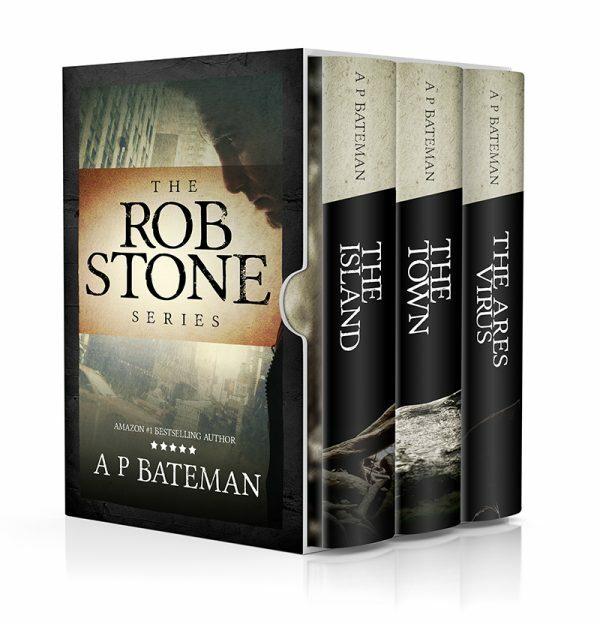 At SpiffingCovers, we have just produced a box-set of his first Rob Stone series (below) and his second trilogy is soon to be released in the same way. The fact that A P Bateman’s sales are booming is proof that longevity fuels book sales. If you would like to talk to us about your self-publishing needs, simply pick up the phone and give us a call. We’d be delighted to speak with you.